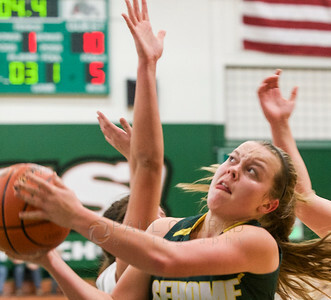 Sehome defeats Archbishop Murphy 41 to 38. 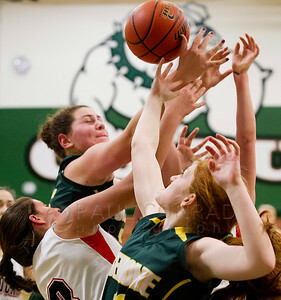 © Paul Conrad/The Bellingham Herald - Sehome's Sarah Eisses (35) , upper left, and Archbishop Murphy players go for a rebound during the first quarter on the 2A Northwest District Tournament final at Mount Vernon High School in Mount Vernon, Wash., on Thursday evening Feb. 19, 2015. 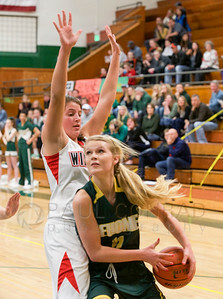 Sehome defeated Archbishop Murphy 41 to 38 to advance to the state playoffs. 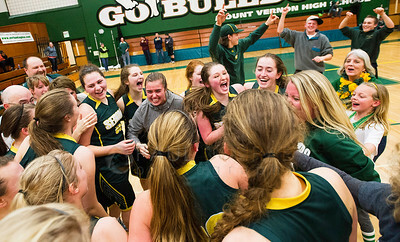 © Paul Conrad/The Bellingham Herald - The Sehome Mariners celebrate after defeating the Archbiship Murphy Wildcats 41 to38 in the 2A Northwest District Tournament final at Mount Vernon High School in Mount Vernon, Wash., on Thursday evening Feb. 19, 2015. Sehome advances to the state playoffs. 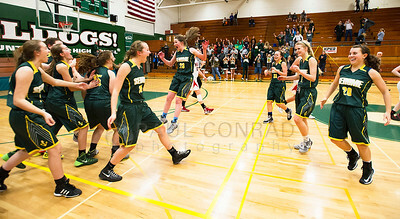 © Paul Conrad/The Bellingham Herald - Sehome Mariners celebrate after defeating the Archbishop Murphy Wildcats in the 2A Northwest District Tournament final at Mount Vernon High School in Mount Vernon, Wash., on Thursday evening Feb. 19, 2015. 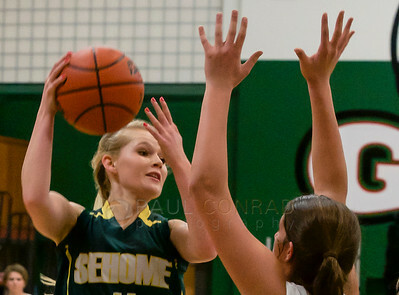 Sehome beat Archbishop Murphy 41 to 38 to advance to the state playoffs. 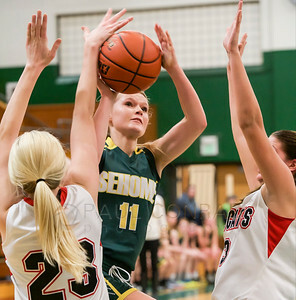 © Paul Conrad/The Bellingham Herald - Sehome's Maddy Bryan (11) looks to pass over Archbishop Murphy's Natalie Hayward (3) during the second quarter of the 2A Northwest District Tournament final at Mount Vernon High School in Mount Vernon, Wash., on Thursday evening Feb. 19, 2015. 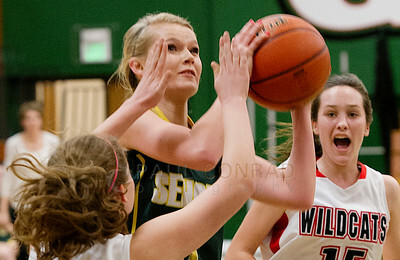 Sehome defeated Archbishop Murphy 41 to 38 to advance to the district final against Burlington-Edison. 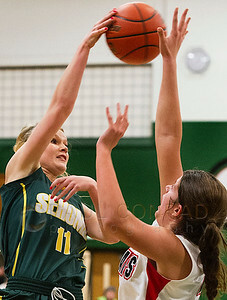 © Paul Conrad/The Bellingham Herald - Archbishop Murphy's Megan Wall (23) blocks a shot by Sehome's Maddy Bryan (11) during the first quarter of the 2A Northwest District Tournament final at Mount Vernon High School in Mount Vernon, Wash., on Thursday evening Feb. 19, 2015. © Paul Conrad/The Bellingham Herald - Sehome's Maddy Bryan (11) goes for two against Archbishop Murphy's Kacey Moore (24), left, and Alyson Matriotti (15), rightduring the second quarter in the 2A Northwest District Tournament final at Mount Vernon High School in Mount Vernon, Wash., on Thursday evening Feb. 19, 2015. 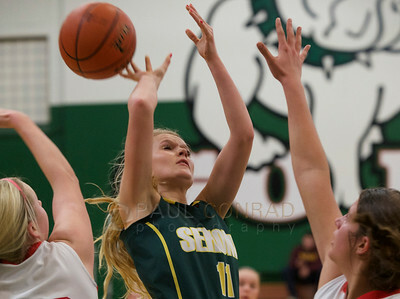 © Paul Conrad/The Bellingham Herald - Sehome's Maddy Bryan (11) passes around Archbishop Murphy's Sam Hayward (2) during the second quarter of the 2A Northwest District Tournament final at Mount Vernon High School in Mount Vernon, Wash., on Thursday evening Feb. 19, 2015. 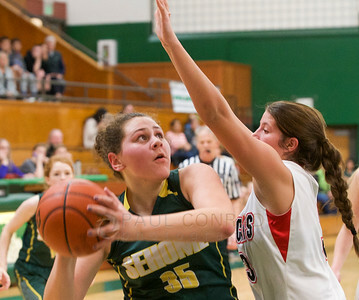 Sehome defeated Archbishop Murphy 41 to 38 to advance to the state playoffs. © Paul Conrad/The Bellingham Herald - Sehome's Devin Grahn (33) goes for two against Archbishop Murphy during the first quarter of the 2A Northwest District Tournament final at Mount Vernon High School in Mount Vernon, Wash., on Thursday evening Feb. 19, 2015. 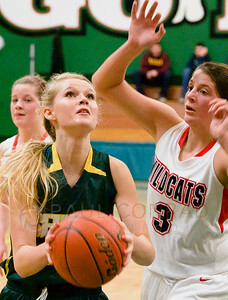 © Paul Conrad/The Bellingham Herald - Sehome's Sarah Eisses (35) looks for a shot around Archbishop Murphy's Natalie Hayward (3) during the first quarter of the 2A Northwest District Tournament semi-final at Mount Vernon High School in Mount Vernon, Wash., on Thursday evening Feb. 19, 2015. 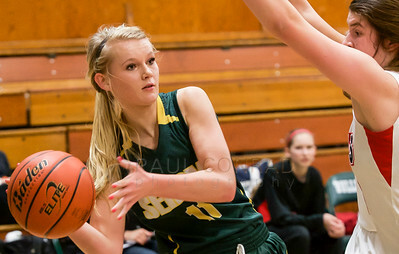 © Paul Conrad/The Bellingham Herald - The Sehome Mariners play against Archbishop Murphy Wildcats in the 2A Northwest District Tournament final at Mount Vernon High School in Mount Vernon, Wash., on Thursday evening Feb. 19, 2015. 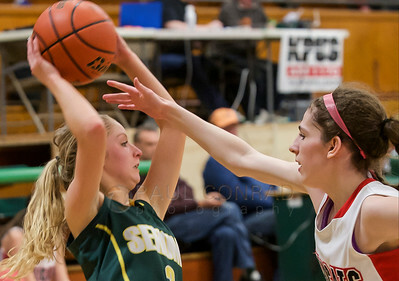 © Paul Conrad/The Bellingham Herald - Sehome's Maddy Bryan (11) passes Archbishop Murphy's Natalie Haywar (3) to go for two during the first quarter of the 2A Northwest District Tournament final at Mount Vernon High School in Mount Vernon, Wash., on Thursday evening Feb. 19, 2015. © Paul Conrad/The Bellingham Herald - Archbishop Murphy's Megan Wall swats the ball from Sehome's Maddy Bryan (11) as Archbishop Murphy's Natalie Hayward (3) attempts to block during the first quarter of the 2A Northwest District Tournament final at Mount Vernon High School in Mount Vernon, Wash., on Thursday evening Feb. 19, 2015. 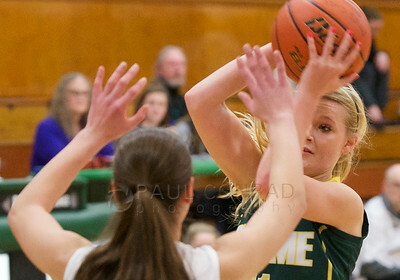 © Paul Conrad/The Bellingham Herald - Sehome's Maddy Bryan (11) looks to pass over Archbishop Murphy's Natalie Hayward (3) during the second quarter of the 2A Northwest District Tournament final at Mount Vernon High School in Mount Vernon, Wash., on Thursday evening Feb. 19, 2015. 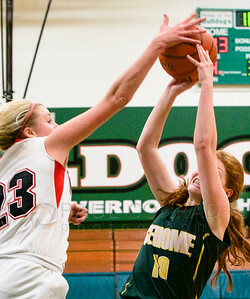 © Paul Conrad/The Bellingham Herald - Archbishop Murphy's Megan Dorney blocks Sehome's Maddy Bryan (11) as she looks for an open teammate during the second quarter the 2A Northwest District Tournament final at Mount Vernon High School in Mount Vernon, Wash., on Thursday evening Feb. 19, 2015. 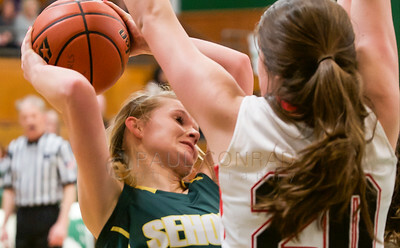 © Paul Conrad/The Bellingham Herald - Sehome's Jenny MacIntyre (3) looks for an open man as Archbishop Murphy's Madeline Maher (31) covers during the second quarter of the 2A Northwest District Tournament final at Mount Vernon High School in Mount Vernon, Wash., on Thursday evening Feb. 19, 2015. © Paul Conrad/The Bellingham Herald - AB 23 AB3 S11 Sehome's Maddy Bryan (11), center, shoots between Archbishop Murphy's Megan Wall (23), left, and Natalie Howard (3), right, during the second quarter in the 2A Northwest District Tournament final at Mount Vernon High School in Mount Vernon, Wash., on Thursday evening Feb. 19, 2015. © Paul Conrad/The Bellingham Herald - Sehome's Maddy Bryan (11) is smothered by Archbishop Murphy's Sam Hayward (20) during the second quarter of the 2A Northwest District Tournament final at Mount Vernon High School in Mount Vernon, Wash., on Thursday evening Feb. 19, 2015.